With steep mountains and winter snow causes many passes in Ladakh region to close down. 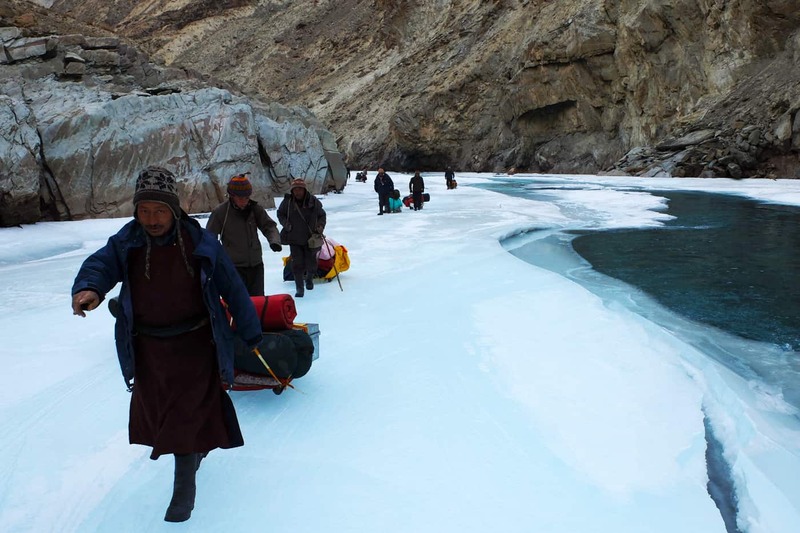 Some of the villages get cut off in the winters, the only way to reach them is trekking over ice frozen rivers. 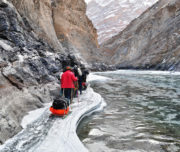 Chadar trek is also about trekking over frozen rivers in Zanskar valley. 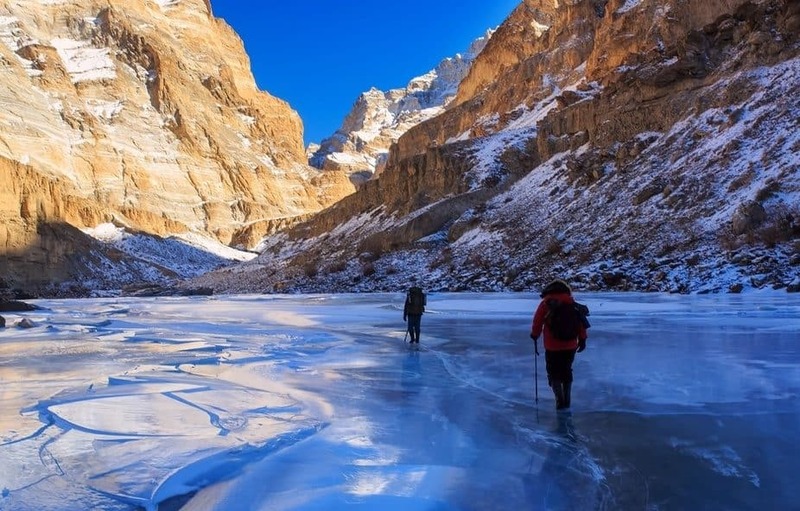 If you are up for real adventure than Chadar trek is a real feast for you, walking on frozen ice with cold water gushing below your feet just inches away nothing can get better than this. Temperature may fall upto -20 to -30 degree Celsius. This trek starts from your arrival at Leh airport. Our representative will meet you there. A reasonable degree of physical fitness is needed for this trek. Arrive at one of the highest airports in the world. During day time you can spend time visiting Leh market and some last minute shopping for your trek. Dinner and Overnight stay at cosy guest house. Today we will be having some travelling to do through picturesque and snow clad mountains. Enjoy the beauty of village Nimu where Zanskar merges with Indus. After passing Chiling, walk over the river and fell the gushing water below your feet. Overnight stay here with some real warm sleeping bags. After hot morning tea you will spending the rest of your day in the cold. It takes a while to get used to walking on the ice but after a while you will get used to it. Mid way to your trek, we will halt for Lunch. You will reach Gyalpo after passing through Shingra Koma. Early dinner after long trek of 12kms, retire for the day. After warm tea and breakfast in the morning, brace yourself for the longest trek with 14kms to cover. 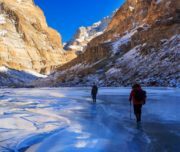 Enjoy the beauty of ravines of Zanskar along with numerous small and large caves. You will also be passing through multiple frozen waterfalls. Visit to a massive cave at Tibb which is the dwelling of locals. Enjoy butter tea with them. Dinner & Overnight stay at camps. Today the trek is for approx 12 kms. Today’s trek is going to be one of the most spectacular out of all days. Don’t miss to take picture of multiple prayer flags. Just few steps away is the giant frozen waterfall. As the sunlight bounces on this frozen water body, enjoy multiple coloured lights produced through its reflection. At Naerak you would be able to witness the life of a Zanskari. Dinner and Overnight stay at camps. We start the return journey from Naerak to Tibb caves. One your return you would be astonished to see that the Chadar is completely in the new form. You will also meet many monks and school students returning from your winter vacation. Overnight stay at the Tibb caves with some warm sleeping bags. Enjoy the beauty of high mountains by your sides almost giving you a feeling of castle walls. Umpteen pug marks on the way are from Foxes, Snow Leopard and Ibex. This is the last to immerse in the pristine beauty of the frozen river. 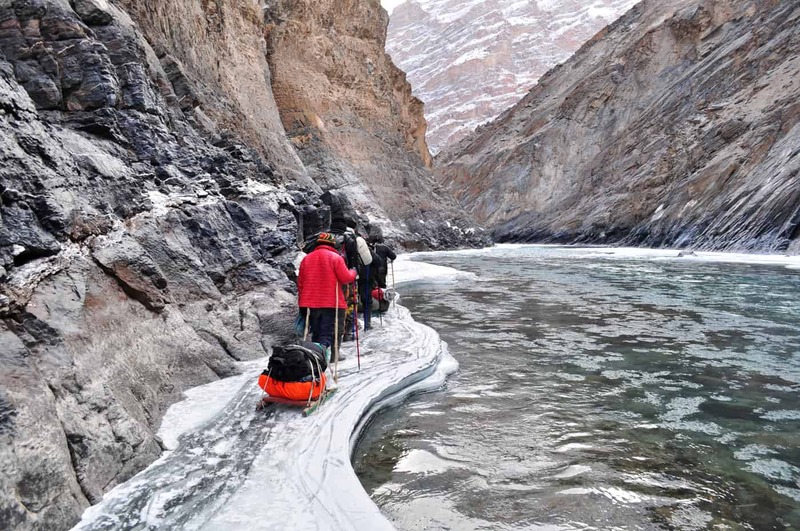 Bid Adieu to the Zanskar river on reaching Tilad Do. 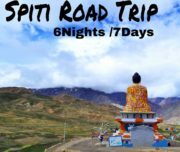 Short drive from Tilad Do to Leh city. Enjoy your sleep at a comfortable Hotel. Unforgettable memories and some more respect for the Zanskaris you leave from Ladak. You will have memories of lifetime through this trek. This trek ends at Leh airport where you can take flight to your home city. · Accommodation. (Camping) and Leh guest house/hotel. · 2 breakfast & 2 Dinner at Leh hotel on as per itinerary.· All Meals while on trek (Bed Tea,B/F, hot/packed lunch, evening tea & Dinner). · Trek equipments. (sleeping bags, mattress, camps). · First aid medical kits and oxygen cylinder. 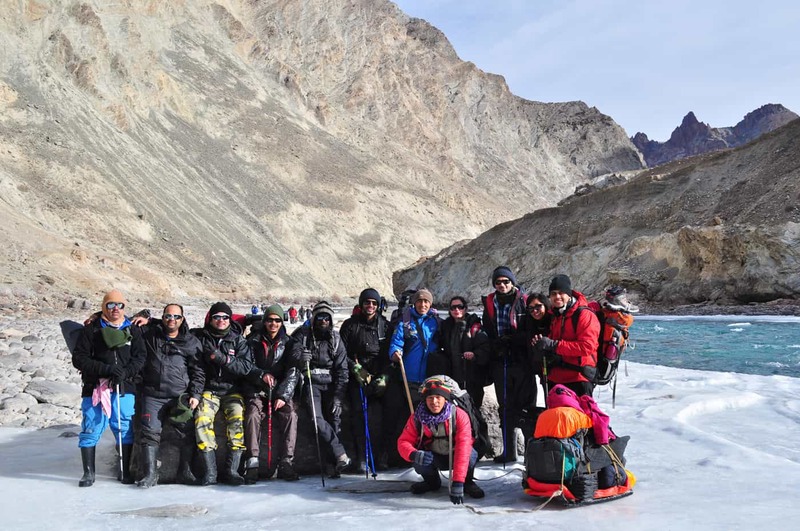 · Local & experienced trek Leader, Guide and Support staff to help trekkers. 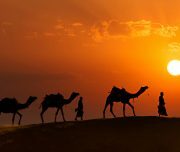 · Transport from leh to Road head and return.· Leh Airport – hotel & hotel airport transfers.· A Service of Tour manger from Himalayan footslog for complete trek. · Food / Meal not mentioned under the head inclusions. · Porter to carry personal luggage. · Anything not specifically mentioned under the head price Includes. Backpack with rain cover (60 ltrs). (if you wants to hire a potter or muel to carry backpack then also carry a small back pack of 20-30 ltrs). High Ankle waterproof shoes with good grip & 1 pair of flooters/flip-flops. Cotton socks & wollen socks. Leg Gaiters & Neck Gaiters. T-Shirts, trek pants, Down feather jackets/hollofill jackets, wind proof and waterproof jacket,thermal inners(upper and lower). Sun cap, woolen cap, Sun Glasses. Woollen Gloves and Waterproof Gloves. 2 water bottle and a thermos. Sunscream, Lipbam, toothbrush & toothpaste, Moisturiser & personal toilitries. 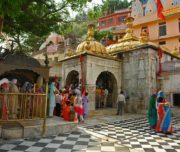 Porters will be use for carry Kitchen Equipments & Trekking Food Items only. Trekkers have to carry their Day bags/Rucksack by own. Basic meals will be served during trek. If anyone need, personal porter INR 1000 Per Porter. Please note that your BMI should be less then 28 . 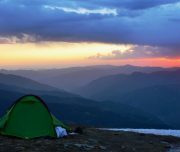 Please check below link for BMI calculation, If its more then 28, then you are not eligible for the trek. The fitter you are, the chances are better that you will extract the most from a trip. 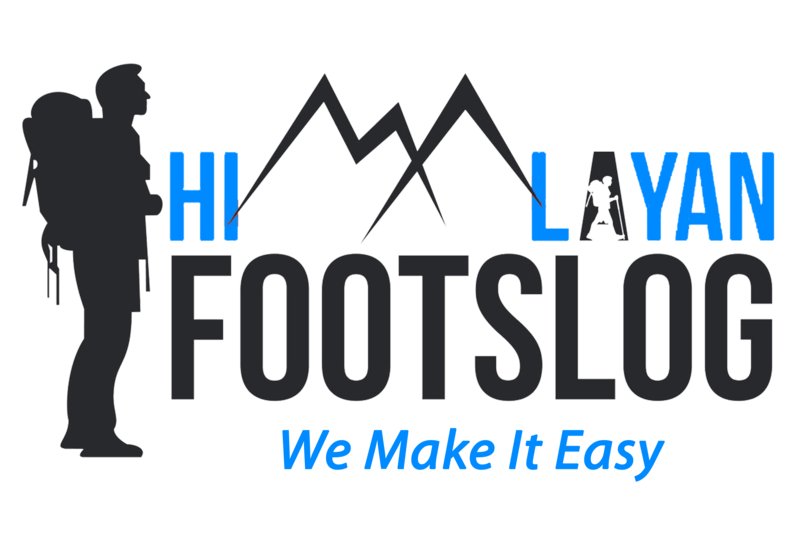 Participants will be expected to fill out a medical and disclaimer form in front of a medical assistant provided by us on first day and submit it before the trek starts . 100% payments will be cleared 7 days before trek. Life is better in hiking shoes.